Clean Danish design, paired with Japanese purism. Increasingly difficult to find this type of wristwatch: Slim and elegant instead of large and flashy. Timeless Danish design. Clearly legible dial. At a pleasingly affordable price. Most designers still follow the trend towards oversized watches. This makes small and sophisticated models scarce. But this watch is perfect, as it’s slim, elegant and designed in a classic square shape. 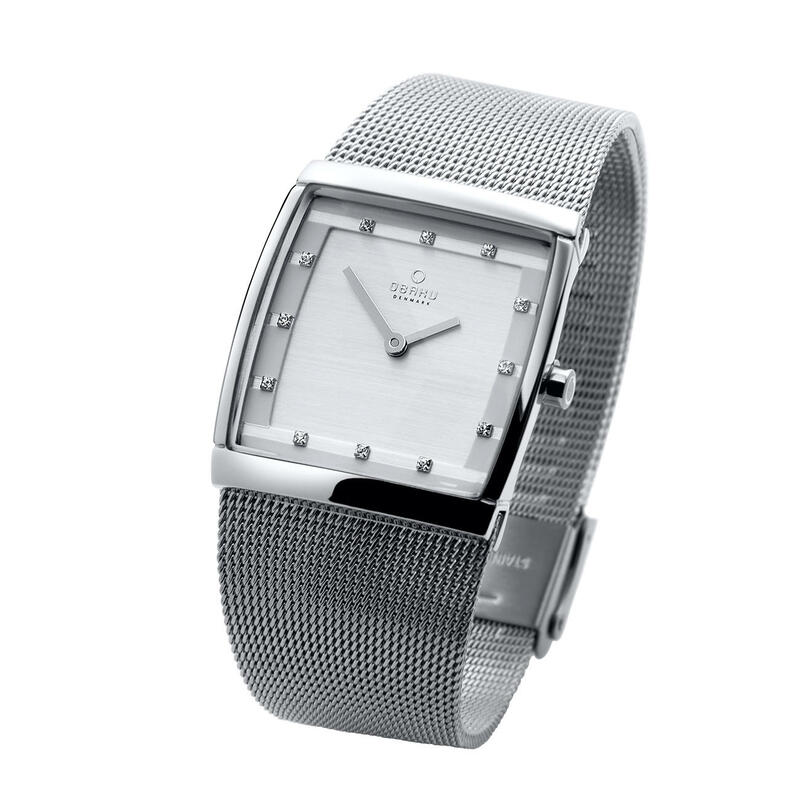 The flat case and flexible Milanese strap combine beautifully together. The watch fits comfortably around your wrist, is hardly noticeable and does not interfere with shirt cuffs and sweater sleeves. No cluttered decorations, no superfluous additional features that only make reading the dial more complicated. The Danish designer Lau Liengård Ruge and Christian Mikkelsen from Hong Kong combine the best of Scandinavian design art with Zen philosophy for Obaku. High quality, Japanese precision quartz movement. Made from stainless steel with hardened, scratch-resistant mineral glass. 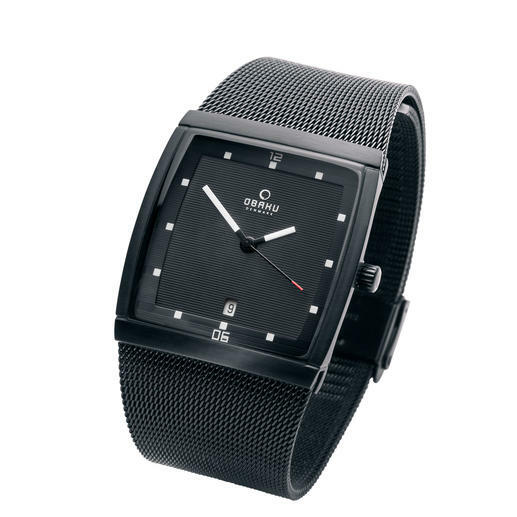 Men’s watch in black. White index markers and hands. Length 30mm (1.2″), 35mm (1.4″) wide and 7mm high case with 2-3cm (0.8″-1.2″) wide strap. Women’s watch in silver. Brushed dial with crystal index markers and wide, polished hands. Length 30mm (1.2″), 28mm (1.1″) wide, 7mm high case with 2-2.8cm (0.8″-1.1″) wide strap.